Just add water and magic - the clock begins to work! Build this water-powered clock and learn about how batteries work. Clock is approximately 18cm in length when built. 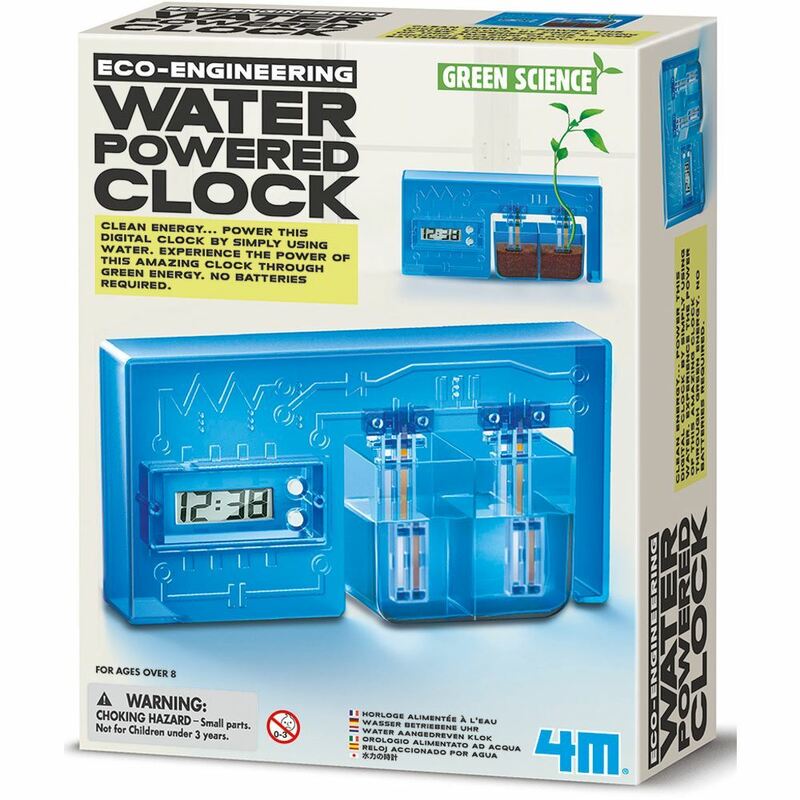 Contents: 1 x clock frame, 1 x water container, 1 x clock module rear case, 1 x clock module, 2 x zinc strips, 2 x copper strips, 1 x wire, 2 x electrode holders, screws and detailed instructions. You will also need from home: a small crosshead screwdriver, table salt and sticky tape. Age 8+ years. Part of the Eco Engineering range. Distributed in New Zealand by Holdson.